When renovating, remodelling or refreshing one's home, every cent counts. 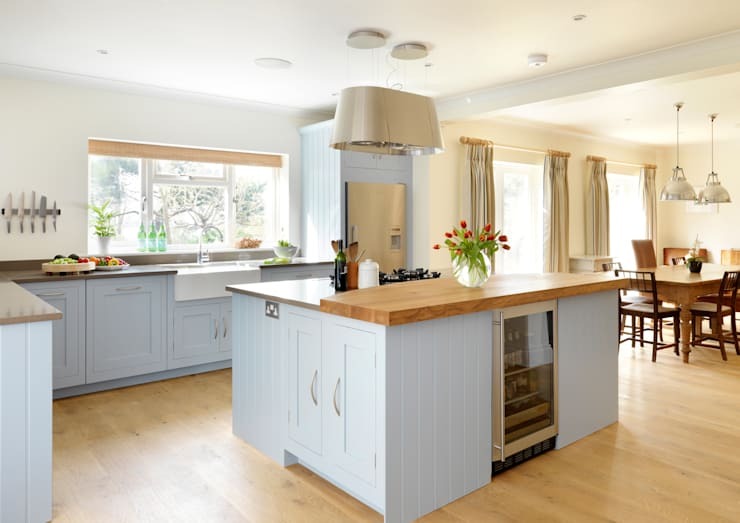 Whether you are planning something mammoth, such as a complete kitchen refurbishment, or perhaps something a little smaller, you will no doubt want to ensure your dollar goes as far as possible. If you are decorating and updating on a budget, this is especially vital, in order to guarantee you make the biggest impression for the smallest price possible. 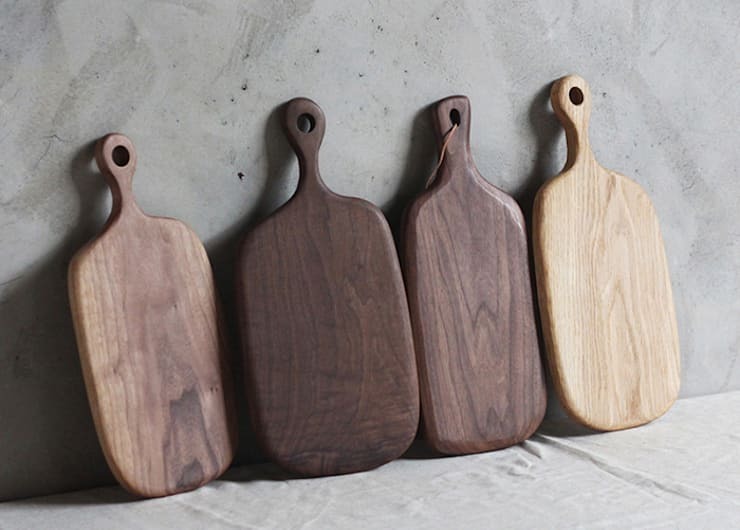 If you're looking to give your cooking space a spruce, we've got you covered. 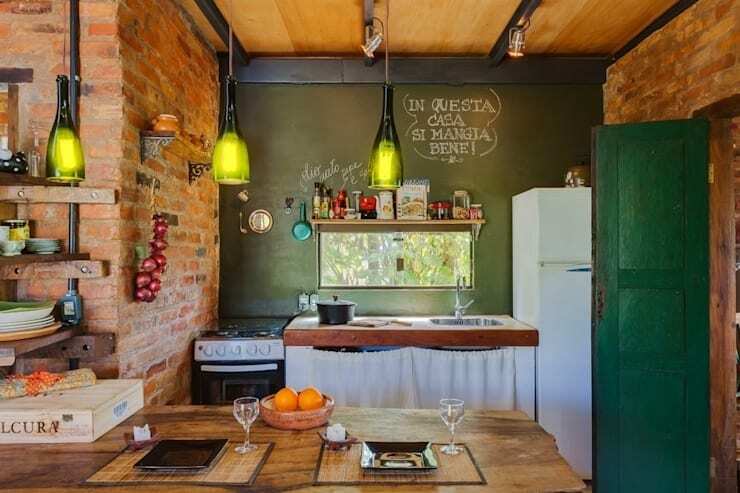 Today on homify we're going to look at 7 neat updates that you can undertake on a shoestring. Inexpensive alterations, additions and changes to your décor and design, which are sure to impart a fresh feeling, as well as a little style and sophistication. Get started today, read on and revive your abode using a few of our handy and simple tips below! First up, we take a peek at the way you illuminate your kitchen. Lights are extremely important, changing both the ambience and the usability of your space. Switching out feature light fittings can offer a new and improved style for your room, while brighter lights can offer increase practicality and convenience. Invest in a few eye-catching features and draw attention away from your less than desirable cooking space. Choose stylish or sophisticated tableware, serving platters, or glassware to truly impart a fresh and revived feeling in your kitchen. If you feel overwhelmed by your cooking area, chat to a professional and get some expert interior advice. Want to get started today? No problem! We have a range of interior designers via the homify website that are sure to provide assistance and help with your issues. A feature wall is a simple, no fuss solution that offers a huge (and inexpensive!) option for your kitchen. 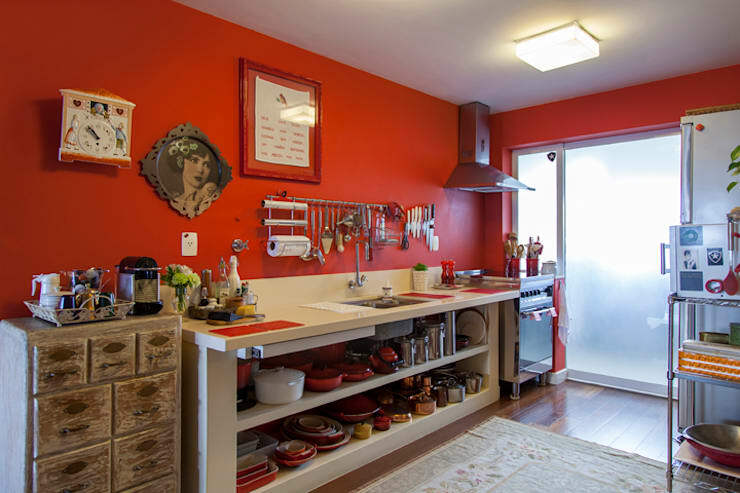 Take a look at this gorgeously simple cooking space that has been given character and drama through the use of a bright crimson lick of paint. Is your joinery getting you down? Try painting it for a fresh look, and an updated aesthetic. There are plenty of options to replace cupboard doors, but often something simple is the best option. Look for a bright hue, such as this lovely cottage blue, and impart a cosy yet fresh ambience in your kitchen. Hate your kitchen cabinet doors? Get rid of them altogether and employ curtains instead. Curtains can be sewn at home, and depending on your DIY skill level, you can save a huge amount of money doing the job yourself. Not only will this give your home a charming atmosphere, they can be easily removed and cleaned, keeping your space fresh and neat. If you cabinets and joinery are too far-gone, beyond reproach, and need to be tossed, you might want to get some advice from a kitchen planner. When you are working with a budget you simply cannot have it all. Instead, you need to prioritise the essentials, and focus on what you desperately need, rather than what you want. When it comes to appliances, quality matters, and budget items, even if they look good, might not offer longevity. Save up a little more if necessary, and purchase one must-have item or appliance that will revolutionise your cooking space. 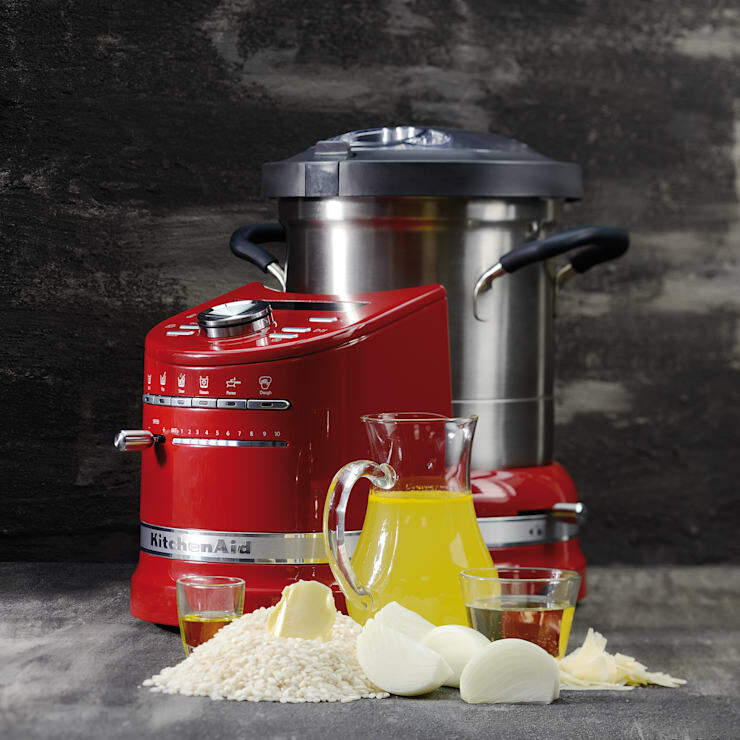 This might be a food processor, a new dishwasher, or even a kettle, but the emphasis must rely on quality over quantity. For our final kitchen update, we take a look at worktops. 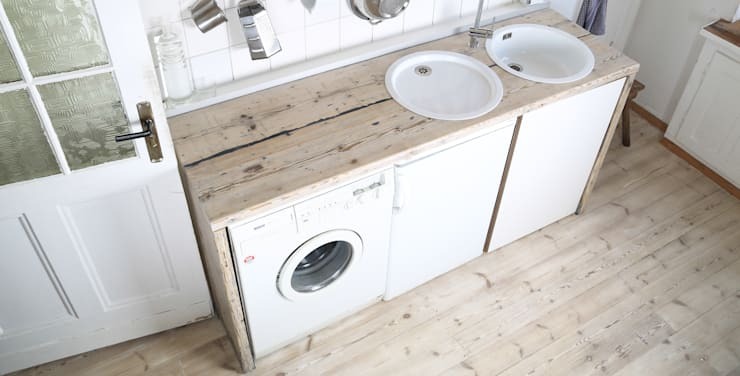 Worktops, benches, counters or any surface in your cooking area is undoubtedly going to make a huge impression with regards to the overall appearance of your space. If you have timber, you are in luck. Sand them back, apply a simple stain, or go for something simple, such as this raw finish above. If you have stone, these can usually be refinished by professionals, while laminate or tile can be resurfaced, painted or removed entirely. Do you have any additional ideas or tips for our readers? Add your contributions below!